"No wonder we close our eyes, toss birdseed, and hope for the best." "Any landscape marked by human intrusion is, in ecological parlance, disturbed, and as a habitat-type, the urban landscape can only be called highly disturbed. The word disturb has a Latin root, turbare, which means "to agitate" or "to confuse," to "pour together," "to mix utterly". How fitting! Wild and domestic. Native and introduced. Rare and invasive. Pavement and pathway. Human and wild. The extraordinary and the commonplace." "Nearly all of our urban planning frames the city as a home for humans and fails to account for the presence and needs of nonhuman animals. Even sustainable city efforts pay little attention to the needs of animals per se, focusing instead on issues of water purity, clean air, parks, and green space for the health, recreational, and aesthetic benefits they confirm upon humans. As ill-conceived housing developments sprawl into areas that were very recently forested, the human/wild clashes become more complicated, sometimes involving displaced (wildlife) that unwittingly wander back into their previous home range, where they are no longer welcome..."
"We can be a friend to wildlife by planting trees, or restoring land, or moving dead animals off the road so the scavengers that come to eat them don't become roadkill themselves"
"Living daily alongside (wildlife), I remember to check the lid on the garbage can, to refrain from observing too closely the warbler's nest in the backyard vine maple lest I draw a predator's attention, to put a net over the koi pond at night... I'm reminded to fight like hell for the green space that will allow a range of species to flourish, not just the synanthropes but the birds that can live near cities as long as areas of contiguous forest are conserved or restored... For us that means a Violet-green Swallow box under the eaves, and the still-uninhabited bat box on the other side of the house... I'm reminded to keep replacing the grass with native plants and shrubs that flourish in local conditions while providing natural food and cover for wild birds (the single best way to limit number of dominant birds such as crows and starlings that thrive on the confluence of concrete and traditional "yards")." As a follow up to yesterday's article on nature in Los Angeles I found information on the Audubon Society's first urban nature center in L.A., along the Pasadena Freeway, northeast of downtown. 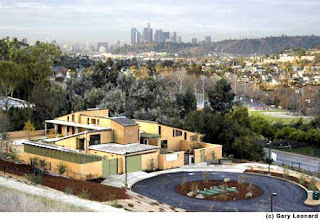 "It will be called a nature classroom, and will cover a 16-acre parcel within the 282-acre Ernest Debs Regional Park near Montecito Heights. The space hosts more than 130 species of birds. The center will include an amphitheater, nature exhibits and a hummingbird garden. It is expected to open by 2003 at a cost of $15.5 million." AND LOS ANGELES IS THE BEST PLACE TO DO IT. (The five townhouses will include) rooftop gardens and a driveway made from green paving technology — instead of traditional heat-absorbing asphalt — that allows grass to grow. This approach will add a park-like setting to the development. “I think it will be the first project in the city to use the technology,” says Surface Developments president Jakub Ulak. 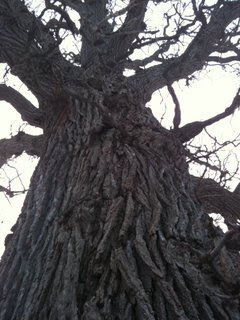 "These magnificent old trees are all that remains of Ottawa's Oak forest, and the oldest of them are estimated to be more than 200 years old - which means they are not just older than our 60 year-old neighbourhood, they are also much older than Canada itself, and some were here long before the first permanent European settlers. This oak forest ecosystem would have covered the South shore of the Ottawa River when Samuel de Champlain explored the area that bears his name in the early 1600s - and he surely would have seen some of the parents of our current oaks. The neighbourhood of Champlain Park - near the Champlain Bridge in the West End of Ottawa - has managed to preserve more than two dozen of these centuries-old trees." 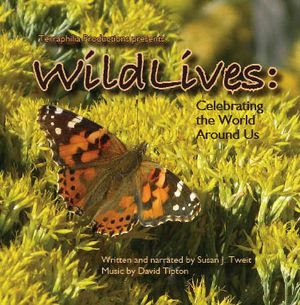 "This is WildLives from Salida, Colorado..." Enjoy 28 favorite commentaries from this popular weekly radio series that celebrates the world around us—the "community of the land." I hope they move you to get to know and find inspiration and sustenance in the world of wild lives wherever you live—city, suburb, small town, or deep in the countryside. Restore your heart and feed your soul with these lyrical commentaries that illuminate nature—the "community of the land" around us.